The 10 best startups from Bogotá will be invited to pitch in front of an investment panel and compete to be crowned the most promising seed-stage startup of Seedstars Bogotá 2017. 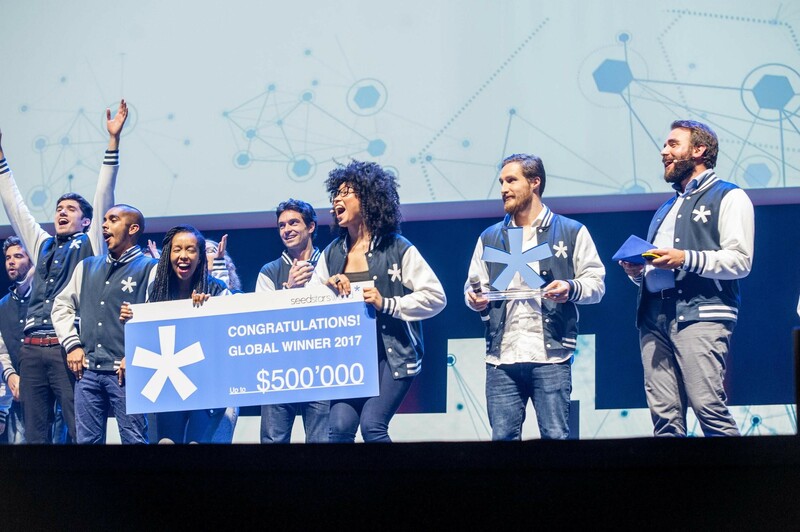 The winning startup will join the global Seedstars Family and take part in the regional and global Seedstars Summits that include our tried and tested bootcamp and investor forum. It's a catalytic platform for high growth emerging market startups. This year Seedstars is also partnering with BBVA to source the best FinTech startups in Latin America for their BBVA Open Talent competition! In others words startups have double the chances to win! In addition to the Seedstars Prize, BBVA will award the best FinTech startup with EUR 1,000 as well as the chance to be named country winner and take part to the Regional Final Summit of BBVA Open Talent and compete for EUR 30,000 grant. Criteria for BBVA Open Talent prize:1) Projects must be operative or at least in beta version,2) Startups no older than January 1st 2013,3) Earned less than EUR 1.5 M in revenue,4) Raised less than EUR 2.5 M in funding. In addition to seeing the top startups pitch, you can look forward to an event filled with disruptive tech, inspirational discussions and networking sessions. Join us! Register to attend or apply to pitch below!